The Columbia Apartments are dedicated to the housing needs of consumers of mental health support services and provides on-site tenant support through most of the week. 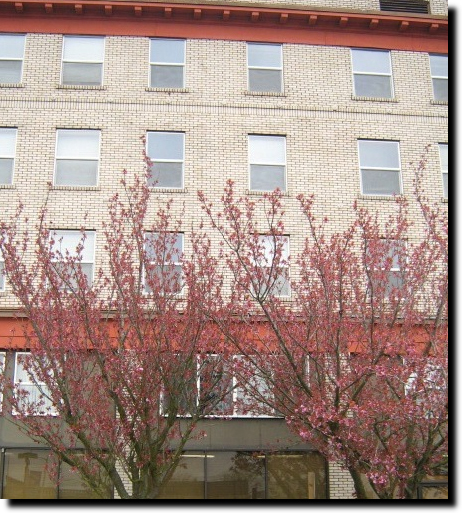 The Columbia apartment building located at 202 N. Pacific in Kelso, Washington is dedicated to providing affordable housing to consumers of mental health support services. The Columbia building features a security entrance, elevator, on-site laundry facilities, storage space and full-size kitchens in each apartment. Water, sewer, garbage, and basic cable are included with the rent. Applications may be obtained through local mental health agencies if tenant requires mental health assistance. There is no application fee. Eligibility requirements include a criminal background check. KHA offers flat to rent for both the studio and one-bedroom apartments. The Lease would be a month to month and is open to the public. Please come into the Kelso Housing Authority Main Office Located at 1415 S. 10th Avenue, Kelso, Washington 98626 and ask the front desk for an application. You will need to bring your Photo ID, Social Security Card and proof of income to apply for the Columbia. All documents should be the original and not copied.